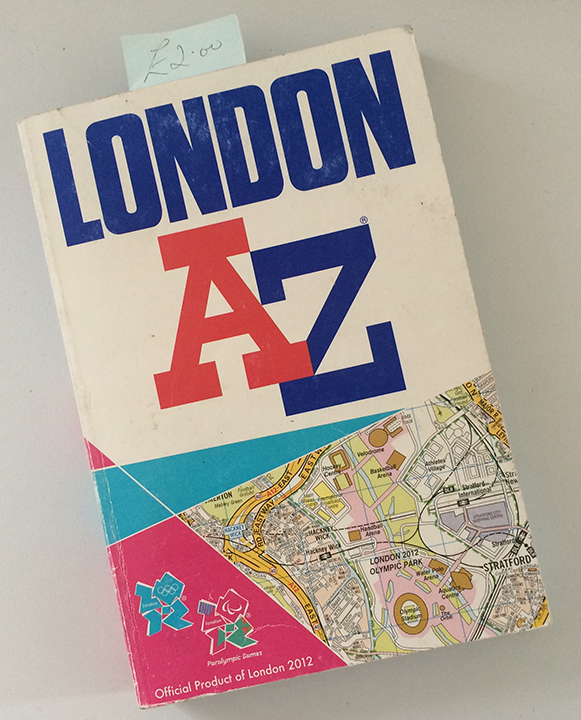 If you were in London a scant 6 or 7 years ago, chances are you had one, if not several A-Z’s and you used them. This was the “go to” map, just like every person in Los Angeles had a Thomas Guide shoved into that pocket on the back of the car seat. I’ve been told London families kept several A-Z’s and would lend them to dinner guests, if needed, for the journey home. This is akin to giving your pal that extra umbrella (the slightly broken one) on a rainy night in New York City. Apparently, you just had enough to go around, everyone did. 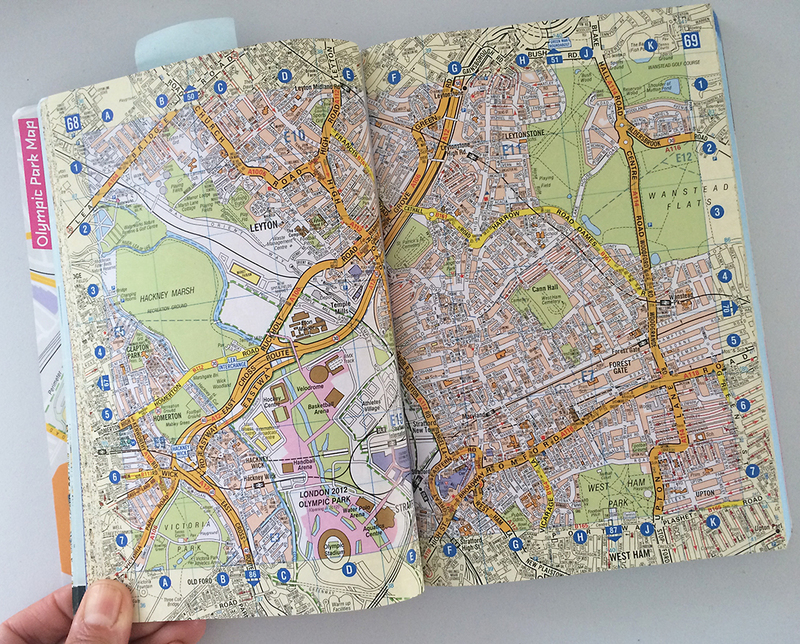 Being a person who loves maps (for some reason I hope to pinpoint this year) I love the A-Z. But during this trip, we are staying in South London, off the tourist map, and of course we have our cellphones, so there is no need to buy an A-Z this year. Pity. I did find one in a used book store in Morden Hall Park, way at the south end of the CS7 Cycle Highway, when I was frantically looking for cycle maps. A-Z doesn’t show cycle lanes, but I was hopeful. 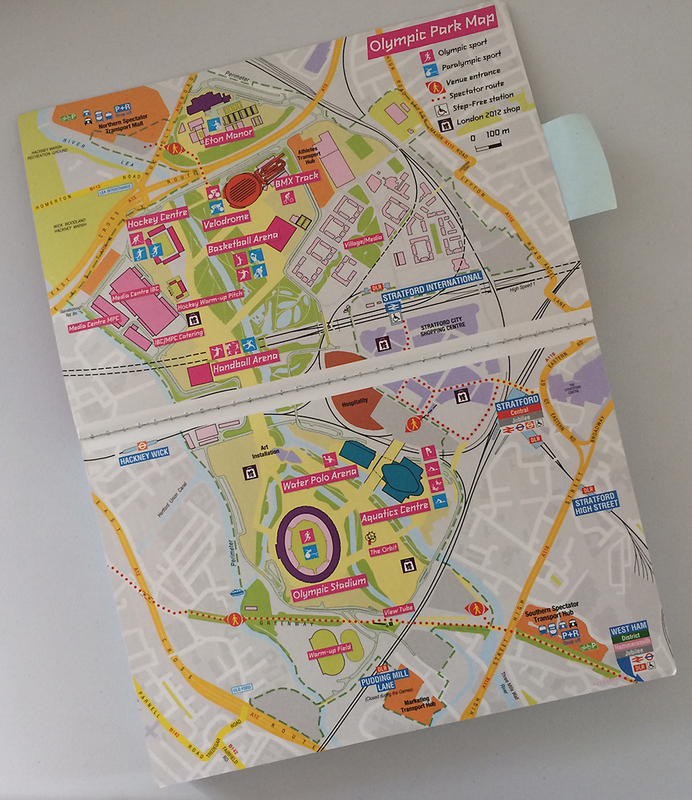 It was the 2012 edition printed for the Olympics, and has maps of the venues and the new areas around Stratford. As an artifact, it was worth the £2. But you clicked on this to read about their 80th. 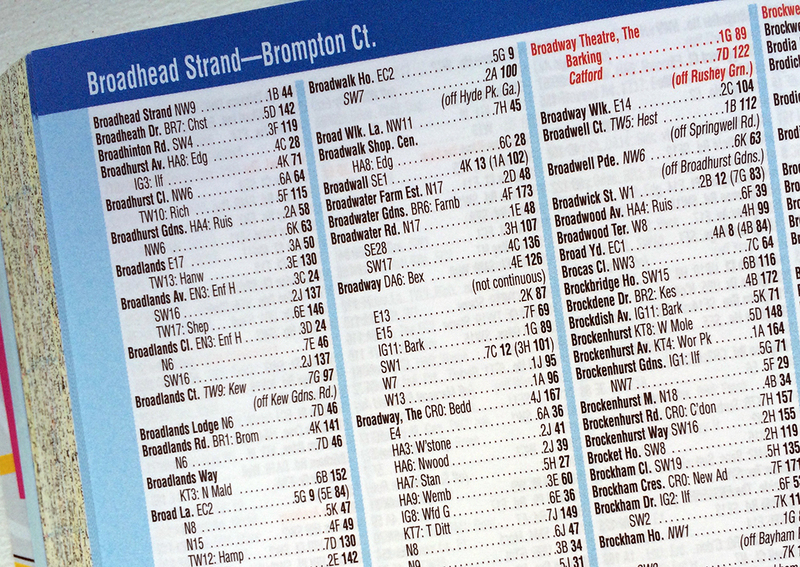 I found out about the anniversary when rooting around for cycle maps… there is a nice history and memorabilia section on the A-Z website. There are posts about the company, and Phyllis Pearsall, one of the founders of the modern company. She allegedly walked every street in London, cataloging information for the first A-Z. I say “allegedly” because if you dig a little further, you’ll find a web page made by her brother that debunks much of her biography. You can be the judge. Intriguing…. In any event – Happy Anniversary A-Z! Previous Post I Need my London Cycle Maps!